Barney is one of our favorite characters and this DVD has been requested several times in the past few weeks since it arrived in our home. 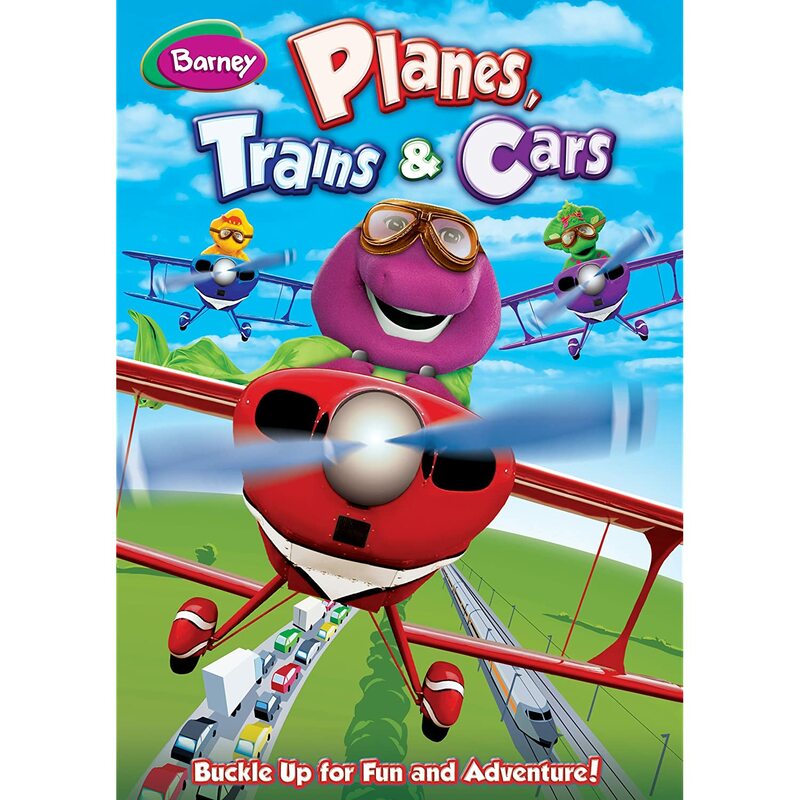 Come along for a dino-mite ride filled with laughter, friends, fun and song with preschool favorite Barney™ and his playground pals in Barney: Planes, Trains & Cars! It's available on DVD, Digital Download and On Demand from Lionsgate and HIT Entertainment. Let your child’s imagination be their guide as they trek to places near and far by air, ground, rail and sea – all without ever leaving the comfort of your home – in these four new, transportation-themed adventures. Barney is always a hit in our house, but especially now since both of my boys are completely obsessed with cars, trains, planes! The only thing better would have been cranes and construction! This DVD will definitely be going with us on our car trip too! It's always best when Barney reminds us how important seat belts are! And now the giveaway - one lucky AB reader from the US or Canada will win their very own copy! Disclaimer: I was provided with this product at no cost to me for the purpose of providing my review. All opinions are my own.